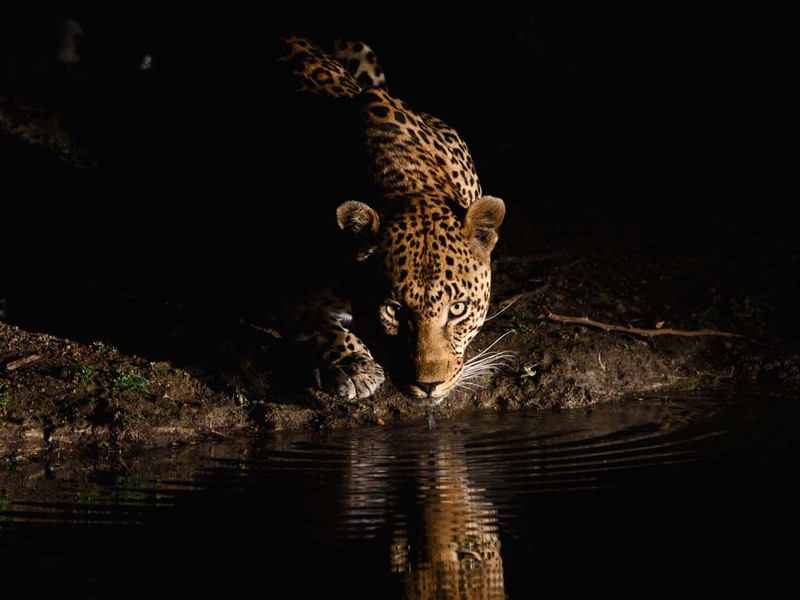 Nighttime is the right time to see the African leopard out and about, hunting and maybe stopping by the watering hole for a drink. These powerful cats also spend time up in trees, where it’s safe for sleeping during daylight hours as well as a good spot to take a meal. Some observers have reported seeing these leopards drag a carcass twice their own body weight up into a tree—imagine that kind of strength, and be glad you don’t have leopards in your backyard.